“We take care of all aspects of real estate, ” said Bob. 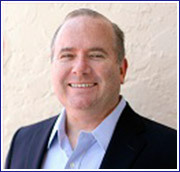 “We are full-service Brokers; sales, research, and management services for all types of properties to assure maximum return for our clients.” Bilingual in English and Spanish, he said although he advertises Clausen Properties locally and throughout the world, most of his business comes from referrals. Originally from Rockford, Illinois, Bob graduated from Marquette University in Milwaukee with a bachelor’s degree in English. After serving three years as an officer in the United States Army, he began selling real estate for Deltona. “It’s been a wonderful opportunity,” he said. “I thought I had died and gone to heaven when I first saw Marco.” Having lived in or traveled to the West Indies, the Middle East, South America and Europe, Bob has found no better place to live or work than Marco Island. Bob Clausen began his association with Marco Island for the Deltona franchised dealer in Venezuela. It was this dealership that sold the first 10 lots on Marco Island in 1965. From 1970 to 1985, Bob was a dealer with the oldest and largest franchise Deltona had overseas. He was also a dealer in Wisconsin. “When I first came here in 1967 there was only one condominium on the beach,” Bob said. A full-time resident since 1983, Bob has owned property on Marco since 1976. Today, he also owns Clausen Properties, Inc., which specializes in the international market. His daughter Catherine works with him as does his son Ian who specializes in new sales. 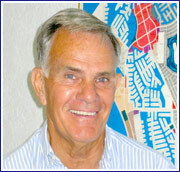 Jere L. Hunt, has been a full-time Marco Island resident and Realtor since 1977. Prior to that, he was involved in real estate in his hometown of Pawling, N.Y. With strong knowledge of Marco Island lots, Jere has had sales ranging from his first sale of a waterfront lot on Leeward Ct. for $17,000 in 1978 to the sale of a waterfront lot listed by him in the Spring of 2004 for $3,200,000. 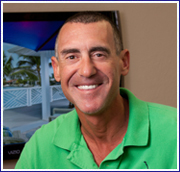 As owner of a vacant lot mowing company (Mow Marco, Inc.), for 18 years he is well versed in Marco Island homesites. With the steady decline in the number of vacant Marco Island lots, Jere has recently started a demolition company the take advantage of the many ‘teardowns’ currently occurring on the Island. Ian Clausen joined Clausen Properties, Inc. in 2004 following a dynamic, 10-year sales career in companies such as Descartes Systems Group, The Aberdeen Group and SemiXchange, Inc. Much of his experience lies in overseas markets, having built an interest in, and lived in, countries like Caracas, Venezuela; Richmond, Surrey (England) and Madrid, Spain. Domestically, Ian has lived in Boston, Orlando, Dallas and Miami. As a Realtor Associate, Ian currently focuses on new sales and rentals. He draws on family ties to Marco Island through the Deltona Corporation. His Father worked for the oldest and largest franchise Deltona had overseas, which sold the first ten lots on Marco Island in 1965. Ian received his baccalaureate from Stetson University in Florida and is currently enrolled in the Harvard Extension School. 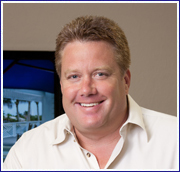 In 2006 he was a member of the Marco Island Area Association of Realtors Leadership class. He received his Graduate Realtor Institute (GRI) designation in 2009, and has been Co-Chair of the Professional Standards Committee since 2007. Ian is also a mediator for MIAAOR and was recently elected to the Board of Directors. Catherine is Bob Clausen’s daughter and handles every aspect of the vacation rentals for Clausen Properties, Inc. With over 100 properties on Marco Island, Catherine stays busy creating a memorable Florida vacation for her guests. 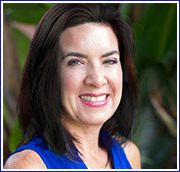 Kelli has been with Clausen Properties for many, many years and loves Marco Island. She works closely with Catherine to help every guest feel special. 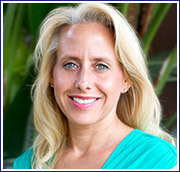 She manages many of the minute details of the day-to-day aspect of the 100+ vacation rentals on Marco Island.